When the National Youth Sports Safety Foundation was formed in 1989, its mission was to provide information on the prevention of youth sports injuries. The non-profit 501(c)(3) foundation was founded in Massachusetts by Rita Glassman after her young daughter Michelle suffered a severe back injury that ended her tennis career. Rita was the first to designate April as National Youth Sports Safety Month, which MomsTeam has been celebrating every year since 2001. I recall visiting Rita and her daughter in their Boston office shortly after I launched MomsTeam in 2000. Rita and Michelle have worked tirelessly to make youth sports safer for many years. Twelve years ago, NYSSF and MomsTeam were the only organizations providing extensive and well-researched information on youth sports safety and injury prevention. Since then, of course, we have been joined by many wonderful organizations who are working hard to educate parents, coaches and caregivers of young athletes about safety issues. Websites have been launched to support safety products and services. Countless others have jumped on the concussion "bandwagon", many in just the past four years. Others have started their own youth sports injury prevention organizations. While MomsTeam has been on the cutting edge of a number of youth sports safety issues, most notably on the issues of concussions, we believe in the old saying that imitation is the sincerest form of flattery, and thus are thrilled that so many other groups and people have joined us. We know that because of our efforts kids playing sports are safer than ever before. We hear from parents and coaches all the time how much they rely on MomsTeam as the trusted source of youth sports parenting information. When we started recognizing April as Youth Sports Safety Month, I worked with a Swiss graphic designer named Radek Zmitko to create a special logo. The three carabiners have special meaning for me. When my triplet sons were young, I dressed them in red, green and blue. They loved to climb, and my son Taylor continues to climb at the elite level all around the world. I think rock-climbers are among the most safety-aware athletes. The carabiners represent safety almost more than any other piece of equipment. Strong and durable, they are literally a climber's life line. I will write more on the topic in my blog later this month. But, for now, I will leave it to the experts to teach and share with all of us. 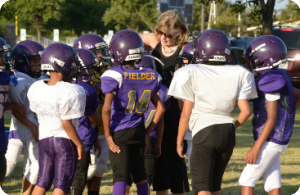 How can you help advance MomsTeam's continuing mission of making youth sports safer? By clicking on the Facebook and Twitter icons below each post to share them with your family and friends. If even one young athlete is saved from serious injury through this project, if even one person is inspired to go into sports medicine by reading how one of our experts got into the field, we will have achieved our goal. Together, I know we can all make a difference in the lives of our sports active children! Brooke de Lench is Executive Director of the non-profit MomsTEAM Institute, Inc., author of HOME TEAM ADAVANTAGE: The Critical Role of Mothers in Youth Sports (Harper Collins), Founder of MomsTeam.com, and the Producer/Director of the PBS documentary, "The Smartest Team: Making High School Football Safer." Today, in the latest installment in my continuing series of blogs called "Buyer Beware," it's time to examine claims by three more companies, at least two of whom, like Unequal Technologies, manufacture football helmet pads, that their products prevent or reduce the risk of concussions. First up is a product called ProCap ($79.95) from Erie, Pennsylvania-based Protective Sports Equipment, Inc. (PSE). In an August 6, 2012 press release on PR Newswire captioned "Concussion and Player Safety Take Center Stage in NFHS Ruling; Protective Sports Equipment Inc. Announces ProCap Is Approved for Football Game Day," PSE describes ProCap as a "safety accessory affording significant protection against concussion in football." The press release goes on to claim that, "[a]fter an extensive examination" by the Football Rules Committee of the National Federation of State High School Associations, the governing body for high school football, the NFHS had decided to permit the use of Pro Cap on game day in high school football. To the casual reader, the headline implies an endorsement by the NFHS. But it is clear from reading the actual NFHS press release that NFHS did no such thing. All it did was to say that, because the evidence on whether ProCap conflicted with NFHS football rules by causing helmets to be altered in such a way as to decrease protection was "inconclusive," the NFHS wasn't prepared to ban use of such equipment and was therefore leaving "the decision as to whether to use or not use helmet attachments ... at the high school level and all other levels, [to] the discretion of ... teams, coaches, athletes and parents." The NFHS was careful to note that it does not "perform scientific tests on any specific items of equipment to determine if the equipment poses undue risks to student-athletes or others." In fact, the NFHS said it was unable "to form a definitive conclusion as to whether" Pro Cap is "on balance, beneficial or detrimental." On the one hand, the group noted that, from "a common sense standpoint, padding would seem to be helpful. On the other hand, however, the larger circumference of a padded helmet increases the likelihood of contact, and there may be a change with respect to the coefficient of friction." The bottom line from the NFHS's standpoint: we just don't know. But it's a long way from "we just don't know" to touting the ruling, as ProCap was quick to do, as an endorsement which "will benefit thousands, perhaps hundreds of thousands, of football players at all levels of the game." ProCap's website doesn't do much to clear up the confusion. It's tagline, "Keep your head in the game," is a very strange one, given the effort in recent years, especially by the National Football League and its youth football partner, USA Football, to take the head out of the game of football, to eliminate the kind of helmet-to-helmet contact, such as contact with the helmet of defenseless receivers and intentional head-hunting, that we know not only results in concussion but can sometimes lead, tragically, to catastrophic brain and spinal cord injuries, paralysis or even death. It is just the kind of claim that Dr. Robert Cantu labeled "dangerous" in his new book, Concussions and Our Kids (look for my review of Bob's book next week) because players wearing such products may play more aggressively, believing they are somehow protected against injury. Another product that the NFHS specifically mentioned in its August 2012 press release as not being a violation of its rules was ShockstripTM ($50.00). Shockstrip has been on my radar screen since June 2011, when I was introduced to the product by its inventor, Steven D. Novicky, D.C., a Canfield, Ohio chiropractor. After the NFHS issued its ruling, Shockstrip sent out two press releases, which Dr. Novicky was only too happy to share with me in a series of recent emails. The first one bore the headline "First Time Ever NFHS Permits Use of External Helmet Device That Reduces Concussions On the Playing Field." The second was captioned "NFHS Steps Up Player Safety & Concussion Prevention With Ruling to Allow Use of Shockstrip Helmet Padding on Game Day", and claimed in the first paragraph that the product "significantly reduces short-term brain injuries, concussions, hearing problems and headaches." But, as with ProCap, Shockstrip's claims simply don't withstand close scrutiny, and, at the very least, have the potential to be misleading. Nowhere in either the NFHS press release or its August 23, 2012 letter to Dr. Novicky advising him that use of the Shockstrip was not a violation of its rules, is there any language even remotely suggesting that the NFHS had in any way, shape or form bought into the company's claim that the Shockstrip product significantly reduces short-term brain injuries, hearing problems and headaches, much less that its ruling was intended to "step up" player safety and concussion prevention. "The NFHS does not endorse or approve football equipment. This ruling," the NFHS was quick to point out, "only means that permissive use of the Shockbox product is not illegal under NFHS Football Rules." In other words, confessed the NFHS, we don't know, one way or the other. Facts are facts. Opinion and puffery - well, they are something else again. Which, brings me, finally, to the third product the NFHS ruled could be attached to the outside of a high school football helmet without violating its football rules: the GuardianTM protective helmet cover ($69.95). GuardianTM manufactured by Alpharetta, Georgia-based POC Ventures in partnership with the creators of ProCap, is a one-size fits all, lightweight, soft shell football helmet cover that the company claims "reduces impact up to 33%" and has been scientifically tested at Penn State University, Wayne State University and Oregon Ballistics labs with "great results" and was field tested by over 600 players in 2011. Unlike ProCap and Shockstrip, it doesn't appear that Guardian made a big deal out of the NFHS ruling. To its credit, Guardian Cap is quick to point out on its website that "No helmet or practice apparatus can reduce or prevent concussions." It claims only that linear impact testing and drop testing showed that the helmets equipped with the Guardian Cap reduced forces transmitted to the head, that field testing had yielded "outstanding results and lower head traumas," and that their product "was being worn by 6,100 players this year with only 2 reported head injuries at this time." More specifically, the company admits that "Guardian Caps CANNOT prevent concussions but they CAN reduce impact and maybe, just maybe, reduce the possibility of injuries." Another thing that parents need to know about these products is that they may void the limited warranty extended by the football helmet manufacturer. According to Paul Jonff, Brand Manager at Rawlings Sporting Goods, "any alterations of, additions to, or component omissions or removals made to the [Rawlings] football helmet may affect the intended performance capabilities of th[e Rawlings] football helmet and void the football helmet warranty." Glenn Beckmann, Director of Marketing Communications for Schutt Sports, told me in an email that, "Third party or after-market products, whether they are temporarily or permanently added to our helmets, will likely void the warranty on the helmets and transfer liability for the helmet to the owner of the helmet." Beckmann went on to say that, "Until our helmets have been configured with these products, tested and certified under industry standards in these configurations and until the third-party or after-market products have been independently tested to show that they do not affect the performance of the helmet or the structural makeup of the helmet itself, we recommend that our helmets not be altered from their original configuration." He also points out that the addition of permanent third-party or after-market products to a Schutt helmet "effectively prevents that helmet from being reconditioned and recertified to its original condition and configuration, which is a vital component of maintaining the safety standards and performance of the helmet. Ultimately, customers can choose to whatever they wish to helmets they purchase from us. But they should be aware of the potential consequences." Guardian alerts potential customers on its website that its product "is classified by helmet manufacturers as an 'external enhancement device' and the use of the GuardianTM might void the warranty of the shell of your helmet," but promises that, "if your shell cracks and the helmet manufacturer refuses to replace it, citing GuardianTM usage as the reason, GuardianTM will cover the warranty on your helmet for up to five (5) years, provided that the helmet meets all NOCSAE reconditioning requirements." Shockstrip does likewise, stating that "Because application of this product MAY void the original helmet manufacturer warranty, ShockstripTM will warrant your helmet under normal use for a period of five (5) years from date of purchase by the original purchaser ("Warranty Period") provided [the] helmet is properly maintained by a Factory Authorized Reconditioner. Proper maintenance requires reconditioning of your helmet at least every two (2) years by a NOCSAE Licensed Reconditioner using only new factory replacement liners in the reconditioning process." As for ProCap, its website doesn't - as far as I can tell - alert customers to the potential voiding of the helmet manufacturer's warranty, nor does it promise, like Guardian and Shockstrip, to step in with its own warranty if that were to happen. As I have been pointing out for quite some time, and as Bob Cantu writes in Concussions and Our Kids, "Parents and coaches are vulnerable, willing to spend freely to keep their kids safe in sports, yet wary of being taken advantage of." Like Bob, I advise parents, before buying one of these products, to do you own research. Check them out by visiting reputable sources on the Internet (like MomsTEAM) before you plunk down your hard-earned cash. Will sending your son or daughter out on the football field with a helmet equipped with one of these products provide, literally and figuratively, an extra layer of protection? As Guardian Cap says, the most we can say at this point is, "Maybe, just maybe." Until we know for sure, my advice has been and continues to be, "Buyer beware." Do you know about a product that you think MomsTEAM should check out? Send an email to delench@MomsTEAM.com. Personally, I believe kids should probably delay the start of tackle football until middle or high school. One of my three sons began football at the age of 13 and by the age of 16 he was forced by concussions sustained while snowboarding to retire from both football and lacrosse. Knowing all that I know now about the risks of football (and other contact sports) it would be easy to simply tell parents who allow their children to play tackle football that they are committing child abuse by exposing them to the risk of ending up with CTE, and throw up my hands and walk away in disgust when they don't listen. But, I know better. Not all players who play contact sports have or will develop CTE. That doesn't mean risk can't and shouldn't be minimized wherever possible. It should. One of my principal missions the past seventeen years has been to do what I can to help minimize the risk of injury in youth sports through training and education of sports parents, coaches and administrators, advocating for rule changes, and by urging the use of safer equipment. 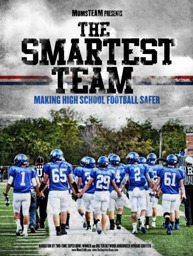 After working with youth and high school football programs, producing a PBS documentary, The Smartest Team: Making High School Football Safer, starting a comprehensive sports safety program (SmartTeams), and developing an educational intervention designed to increase honest self-reporting by athletes of concussion symptoms, I can say without hesitation that football is safer now than it has ever been. Nevertheless, it is a given that all sports, whether collision, contact, individual or team, involve a certain amount of inherent risk. Football can no more be made completely risk-free any more than riding a bike, skiing down a mountain, or running around on a playground can be made injury-proof. Kids can't live in a bubble, nor should they. Having said that, there are circumstances in which I believe a parent, or for that matter, a coach or athletic trainer, could be deemed guilty of child abuse - as, for instance, if they allowed a child to return to the playing field knowingthey were experiencing concussion symptoms, thus recklessly exposing them to the risk of a longer concussion recovery, a more serious traumatic brain injury, or even, in very rare cases, death from second impact syndrome. But unless such recklessness is really extreme, unless it rises to the level of a callous and wanton disregard for a child's safety (e.g. reckless endangerment), I believe the degree of risk a parent is willing to have their child take on is really up to them, such that exposing them to that risk does not rise to level of child abuse. University of Missouri law professor Douglas Abrams, a juvenile law expert and a youth sports coach for more than 40 years, agrees. "There is no room for prosecuting parents merely for allowing their child to play youth-league or school football," says Abrams. "The Constitution guarantees parents broad discretion to raise their children, so the law requires a strong showing to defeat parental decision-making. Football safety concerns are real and safety advocates should continue to speak out to educate, but parents commit no crime when they decide to allow their child to play the nation's most popular professional and amateur sport." But, Abrams cautions, "A child endangerment prosecution might be appropriate if parents expose their football player to specific health or safety consequences during play, such as by coaxing him to play with a concussion or other serious injury." In the ideal world, of course, a parent's decision about whether to allow a child to start playing or continue playing collision sports before high school under current rules of play (which are evolving in the direction of safety, fortunately, as seen, for instance, in USA Hockey's ban on body checking at the Pee Wee hockey level and below, limits on full-contact practices instituted at every level of football, from Pop Warner, to high school, college, and the NFL, and a ban on heading in soccer before age 12), will be a conscious and informed in which up-to-date information about the inherent risks of the sport, a consideration of risk factors unique to their child, such as pre-existing learning disabilities (e.g. ADHD ), a history of multiple concussions, seizures, or migraines ), or a reckless and overly aggressive style of play - are balanced against the benefits to the child of participating. With all due respect to Dr. Omalu, who is a courageous fellow truth-teller and whom I greatly admire, the reality is that, as terrible, frightening, and real as CTE is, especially to those who once played or still play professional football and their families and friends, and as gut-wrenching as it is to see, read about, or hear the stories of athletes whose lives have been affected or cut short by CTE, it is by no means clear whether playing football, especially for the vast majority of those who end their careers in high school, inevitably leads to the development of such neurodegenerative diseases as CTE. In the final analysis, what I tell parents who are deciding whether to let their child start playing tackle football is, if they do let them play - a decision that is theirs, and not mine, to make - that, before they do, they make sure the program puts their child's safety first: by, among other things, educating coaches, officials, parents, and players about concussions, supplying players properly reconditioned and fitted helmets, proving youth players with helmets designed for their heads that are less than 3.5 lbs., teaching players how to tackle without using those helmets, minimizing the amount of full-contract practice time, creating an environment in which players feel safe in honestly reporting concussion symptoms, ensuring that concussions, when they do occur, are managed properly, and prohibiting players from returning to practice and play until a doctor with concussion expertise decides in the exercise of good clinical judgment that their growing brains have been given all the time they need - and then some - to heal. Admittedly, in an age in which more and more people tend to gravitate towards opposite ends of the spectrum in their opinions on just about anything (in the case of the great debate about football, either urging parents to find another sport for their child to play or extolling its many benefits while minimizing its risks), the challenge I face - that all those of us who love all sports and are dedicated to making them safer face - in occupying the reasonable, pragmatic, pro-safety middle, is being heard. For the most part, the national media doesn't seem interested in reporting good news - that there are steps being taken to make football and contact and collision sports such as soccer, lacrosse, and hockey, safer - because it is bad news, scary news, sensational news, that sells, and that some in Concussion, Inc. depend for their very existence on promoting. From my vantage point, having spent countless hours working with youth and football communities around the country, from talking with football parents, coaches, administrators, athletic trainers, clinicians and academicians, and from becoming educated about the actual facts about the safety of football, I believe that, not only is football a sport worth saving, and that it can be saved, but that those who call for it to simply be abolished, represent an extremely loud but vocal minority. In the end, I don't believe it will be those who scream the loudest, the trolls on social media engaged in the politics of emotion, intimidation, and innuendo, who will prevail. It will be those who discuss the risks and benefits of sports calmly, rationally, calmly, and objectively, who work tirelessly to make sports safer, based on science, who will win out. Brooke de Lench is a child athlete safeguards and rights advocate and legal consultant. 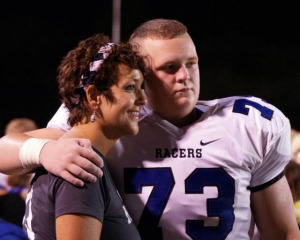 Founding Executive Director of MomsTeam Institute, Inc., Producer/Director/Creator of the documentary, "The Smartest Team: Making High School Football Safer" (PBS). Director of Smart Teams Play Safe, Publisher of MomsTEAM.com, and author of Home Team Advantage: The Critical Role of Mothers in Youth Sports (HarperCollins). Brooke is also a founding member of the UN International Safeguards of Children in Sports coalition and is an active adviser for the CDC Heads Up brain injury prevention program. Note: In the interest of full disclosure, neither I nor MomsTeam Institute, the non-profit of which I am the Founding Executive Director, has ever accepted any donations from the NFL, USA Football, Pop Warner, or any equipment manufacturer. In order to remain fully independent and objective, this has always been our policy. Among other things, I have long advocated for adoption by the United States of the protections against abuse contained in the U.N. Convention on the Rights of the Child [Update: as of December 11, 2015, the U.S. was the only country in the world that has not signed the convention] and believe that a parent or coach who knowingly allows a child to continue to play while injured, or recklessly exposes a child to an unreasonable risk of sports injury, is engaging in child abuse. So, when I was asked in a recent radio interview, whether I viewed parents who allow their children - particularly elementary school age-children - to participate in collision sports as committing child abuse, I had to stop for a moment to think. On the one hand, there appears to be a growing body of research suggesting that playing contact or collision sports for a long period of time likely has, at least for some unknown percentage of athletes, serious adverse health consequences, not just from concussions but from the cumulative effect of sub-concussive blows to the head, blows which athletes in youth football, lacrosse, and, until recently, hockey, suffer on an almost constant basis in both games and practices. Such evidence. 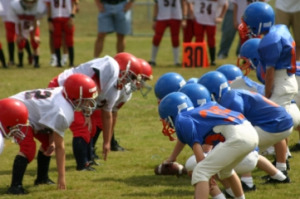 while far from conclusive, has raised alarm bells among some in the youth sports community and prompted at least one leading concussion expert, Dr. Robert Cantu, MomsTeam's concussion expert emeritus, to recently recommend that kids not play such sports until middle or high school, at least under current rules. On the other hand, while I personally think Dr. Cantu's recommendation is worthy of serious consideration, I don't believe parents who allow their kids to start or continue to play collision sports before middle school are engaging in child abuse. All sports, whether collision, contact, individual or team, involves a certain amount of risk. Risk of injury is inherent to sport, and sport cannot be made completely risk free any more than riding around on a bike or running around on a playground can be made injury-proof.1 Kids can't live in a bubble, nor should they. That doesn't mean risk can't and shouldn't be minimized wherever possible. It should. One of my principal missions, from even before MomsTeam was launched in 2000, has been to minimize the risk of injury in youth sports through training and education of sports parents, coaches and administrators, advocating for rule changes, and by urging the use of safer equipment. While there is a level of risk at which a parent could be deemed guilty of child abuse - say, for instance, by allowing their child to return to the playing field knowing that they are still experiencing concussion symptoms, and thus recklessly exposing them to the risk of a further delay in concussion recovery, long-term brain injury, or even death from second impact syndrome - unless their recklessness is really that extreme, I believe the degree of risk they are willing to have their child take on is really up to them, such that exposing them to that risk is not, in my view, child abuse. In the end, it all comes back to education: In the ideal world, a parent's decision about whether to allow a child to start playing or continue playing collision sports before high school under current rules of play (which are evolving in the direction of safety, fortunately, as seen, for instance, in USA Hockey's ban on body checking at the Pee Wee hockey level and below, and limits on full-contact practices instituted at every level of football, from Pop Warner, to high school, college, and the NFL), will be a conscious one; a decision in which the risks of participating in a particular sport - provided it is based on the most up-to-date information about those risks and a consideration of other risk factors that might come into play for their child, such as pre-existing learning disabilities (e.g. ADHD), chronic health conditions (e.g., a history of history of multiple concussions or seizures, history of migraines), or a reckless and overly aggressive style of play - are balanced against the benefits to the child of participating. 1. The Centers for Disease Control's study on traumatic brain injuries in youth and high school sports and recreational activities agrees. "Risk for TBI," it says, "is inherent to physical activity and can occur during any activity at any age." Centers for Disease Control and Prevention, Morbidity and Mortality Weekly Report (MMWR). Nonfatal Traumatic Brain Injuries Related to Sports and Recreation Activities Among Persons Aged ≤ 19 Years -- United States, 2001-2009; 2011; 60(39):1337-1342 (http://www.cdc.gov/mmwr/preview/mmwrhtml/mm6039a1.htm?s_cid=mm6039a1_e&s...)(accessed October 7, 2011). Interestingly, riding a bike and playground were number one and number three on the list of activities resulting in emergency room visits for traumatic brain injury overall (8.1% and 7.9% respectively), second and third among males under age 19 (16.5%, 7.8%), second and first among girls (11.8%, 14.2%), and number one and two for boys and girls aged 9 or younger. MomsTEAM Institute of Youth Sports Safety, Inc. is a registered 501(c)(3) tax-exempt organization which relies on donations from readers like you. Help us continue to provide the best in youth sports safety and parenting information by making a donation today.